I've got a lot more love for rhododendrons after this past weekend in Highlands, North Carolina. Morning walks through a forest of them, all crazy, twisting trunks that reminded me of Van Gogh paintings. I never knew the blooms were sticky. Olive was always sauntering in with a flower strewn coat. At first, the squishy brown stuff peeled off bare feet was yucky, but whatever. 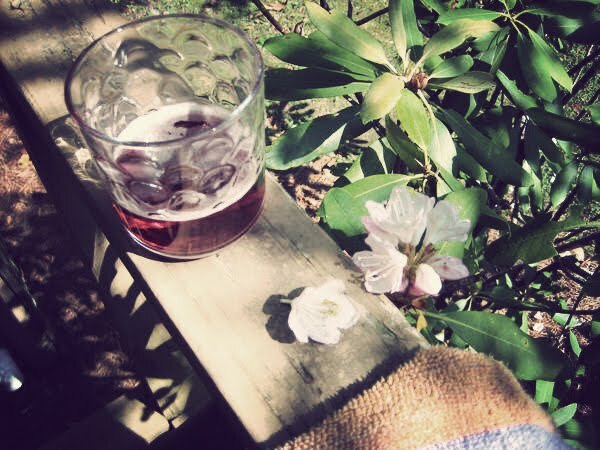 Here's to blossoms that don't cling to the vine.